post-title How about pints and a comedic play for a work night out? 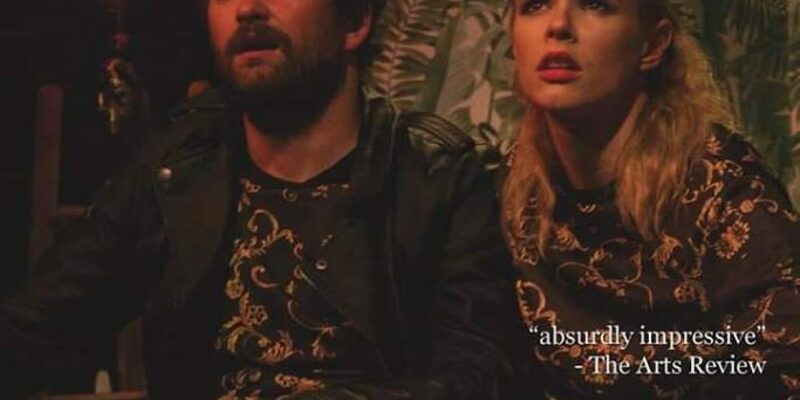 Home / 2019 / How about pints and a comedic play for a work night out? The New Theatre in Temple Bar is one of the leading lights when it comes to putting on new and original Irish plays. 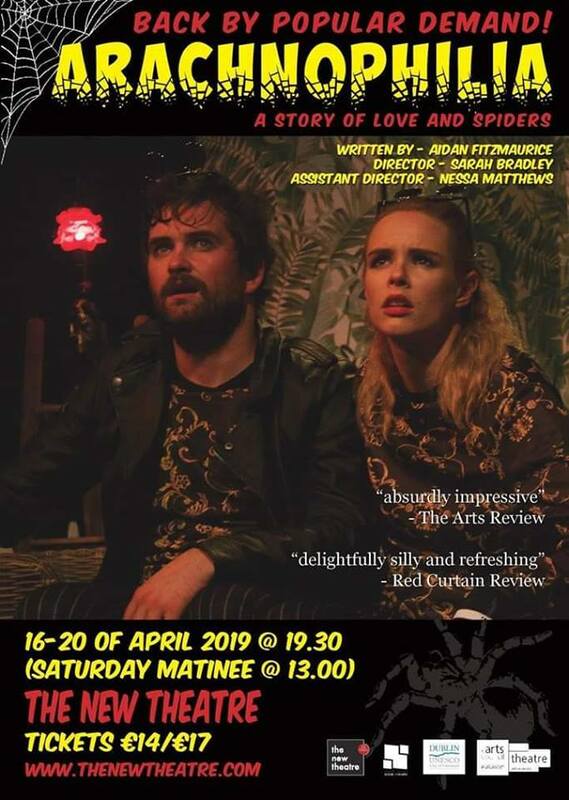 Next week sees the return to the theatre of ‘Arachnophilia’ after a successful run at last years Dublin Fringe festival. 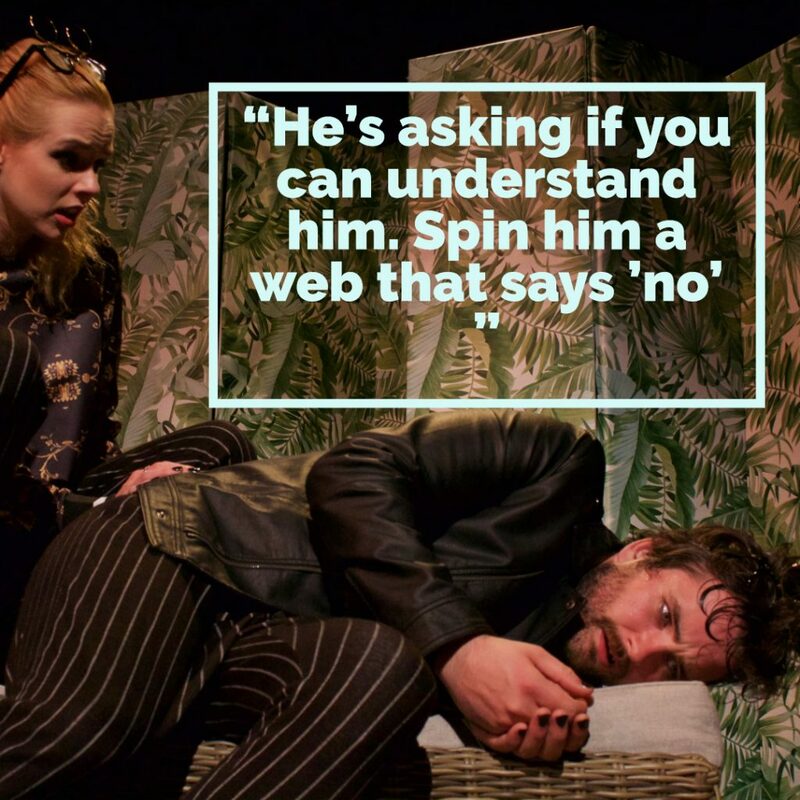 The play is an absurd comedy based around a spider who can think independently and cohabits his terrarium with his imaginary friend, his own shed skin (or exoskeleton). His owner bought the spider for his partner as preparation for them having a child. Naturally, things spiral from there. Here’s the pitch for your next work night out. 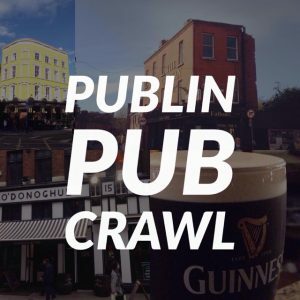 Book into a nearby bar, lets say Street 66 on Parliament Street (a 2 minute walk from the theatre) from 6pm after work, have a drink or two and then stroll down the road for a bit of culture and a few laughs. The show runs from Tuesday 16th of April until Saturday the 20th, starting at 7.30pm, with a matinee on the Saturday at 1pm. 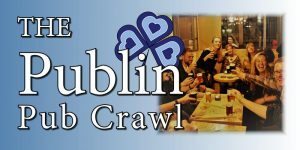 Tickets are €17, but if you’re booking for groups of 8 or more, discounts are available. We should say that of course, there are no actual spiders in the show. It’s a comedy with no creepy elements. It’s basically 50 minutes of fun. The reviews from their last run were very complimentary. Instead of just opting for the pints on your work night out, throw in a bit of comedic culture for the hour too. Tickets are available online through The New Theatre Website. 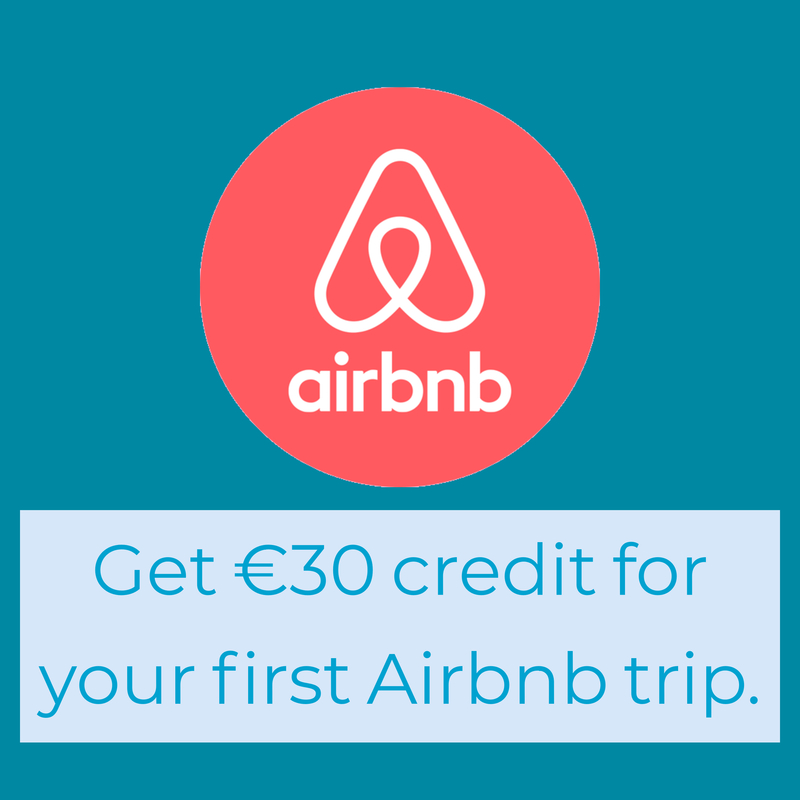 Discounts for bookings of 8 or more are applied automatically.